The vast Rocky Mountain region straddling the Continental Divide from Montana to Colorado offers one true metropolis -- Denver -- and a whole host of towns whose names sound like brands of blue jeans. 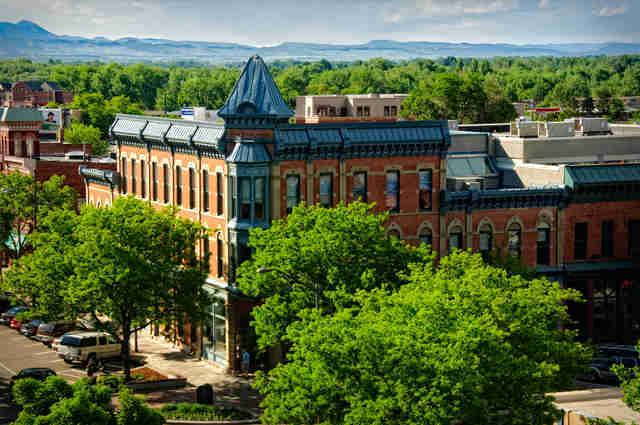 Yet those smaller towns are what offer one of the country's least populated sections an undeniable charm, too often overlooked by travelers lining up to hit the slopes of Aspen or the cannabis shops of the Mile High City. Here are eight smaller spots that you should definitely have on your radar. Why it's so great: From off-the-grid Ouray to the hippie paradise of Nederland to the hidden charms of Alma, Colorado is stacked with small towns that make you immediately question your decisions in life: like, why the hell you don't live here already. One of the more underrated is this vibrant Old West town tucked away in the state's southwest corner that's overflowing with historic Victorian hotels, cool old-timey bars like the Diamond Belle Saloon, and the beautiful Animas River Trail cutting right through Downtown. Must-do: The Durango-to-Silverton narrow-gauge rail journey is stunningly gorgeous if a bit touristy, while Mesa Verde National Park is just 35 miles west. Why it's so great: A modern boomtown thanks to recent shale oil discoveries, Montana's largest city (and only city with a population over 100,000) is surprisingly cosmopolitan, with eight local craft breweries, the visually stunning Babcock Theatre, and a cool distillery in a former train depot complex. But Billings never lets you forget you're still in Montana, with rodeos, motorcycle trails, and wide-open vistas of seven (yeah, count 'em, seven) mountain ranges. Plus ghost caves at Pictograph Cave, alpine beaches at Lake Elmo State Park, and the Grand Canyon-style Bighorn Canyon. Must-do: Hiking the beautiful Swords Park Trail is an excellent way to spend the day, but the more exercise-averse will enjoy a leisurely ride along the Beartooth Highway, one of the most scenic roads in America. 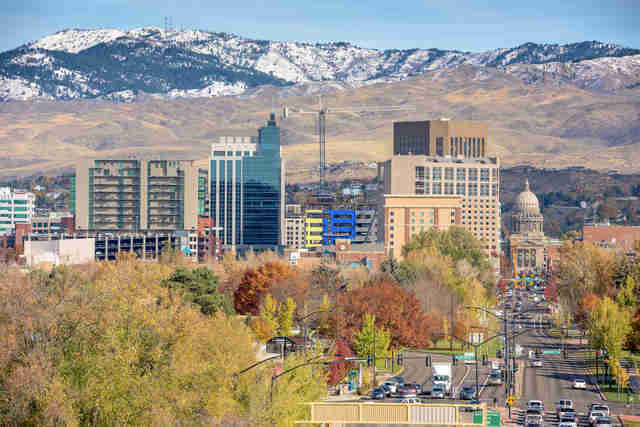 Why it's so great: Called "the next Portland" by a growing number of people (OK, by us), Boise keeps its hipster bona fides fresh with nearly 150 coffee shops, almost a dozen breweries, and a growing bar/restaurant scene that helps make America's 99th-biggest city a growing attraction for the middle of the Venn diagram where the circles are "granola eater" and "gun owner." 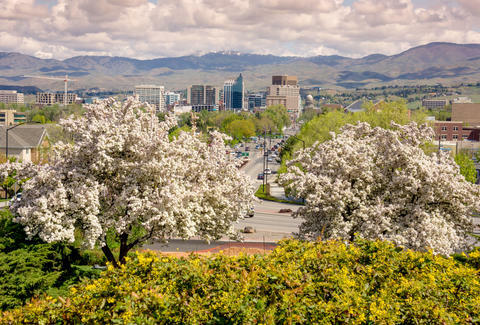 But what really makes this cycling-centric city stand out is its inviting quality of life, which often entails floating lazily on the Boise River or walking/biking the beautiful 20-mile Boise Greenbelt along its banks. Must-do: Seeing a Boise State Broncos game on the iconic blue field at the 37,000-seat Albertsons Stadium is a quintessential local experience, while the hipster influx at the annual SXSW-style Treefort Music Fest every March gives Austin a skinny-jean-wearing run for its money. Why it's so great: Grab a barstool in this city's historic Old Town district and you'll immediately see why locals call this laid-back college town "Fort Fun." Most famous as the home of New Belgium Brewing, this beer-crazy oasis hosts a multitude of other top-tier brewers (don't sleep on Odell) that you can visit by bike (Brew Cruise is one such tour) in this equally bike-crazy city (where, yes, you can rent bikes from a Bike Library). Between beers, there's fly fishing, whitewater rafting, and beautiful mountain hikes all around. Must-do: Head 30 miles west into Roosevelt National Forest to see a concert at one of the best-kept secrets in the Rockies: the glorious Mishawaka Amphitheatre, which is kind of like a mini-Red Rocks. In a canyon. On the side of a river. Why it's so great: While Park City has the star power and Provo boasts one of the best live-music scenes in the country, this historic railroad town 40 miles north of Salt Lake City can get overlooked. But the home of Weber State University has plenty going for it, including three ski resorts east of town, the beautiful Antelope Island State Park west of town, and a friendly bar/restaurant scene (hello Kokomo Club!) in its easily walkable Downtown. Pop by the hot springs and waterfalls, kayak the surrounding rivers, climb the cliffs, or simply hike the foothills of the magnificent Wasatch Mountains. Must-do: For one of the best views in all of baseball, take in a game at the always-fun Lindquist Field, home of the minor-league Ogden Raptors, and make new best friends with whoever the hell ends up sitting next to you. Why it's so great: Who knew there was a raucous party lake in the middle of Idaho? For the past several years, local spring breakers sure as hell did, and they went at it so hard the city had to ban alcohol on the popular North Beach for this year's Fourth of July festivities. 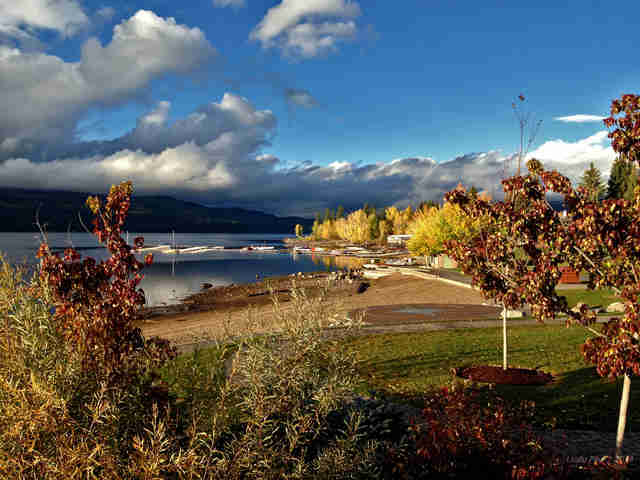 But that doesn't change the fact that this stunning resort town situated on the picturesque Payette Lake is a showstopper for all seasons. (That includes winter, when nearby ski resorts are open and the Winter Carnival rolls into town with snow sculptures and Mardi Gras parades.) 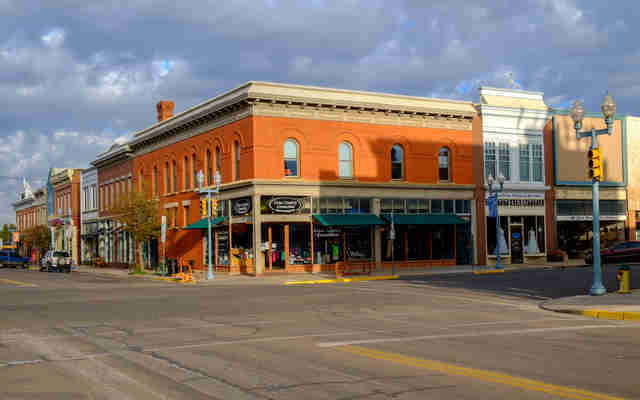 The Downtown is a romantic amalgamation of Old West-style buildings which, unlike most Rocky Mountain towns, sits right on the edge of a mini-Tahoe-esque alpine lake. Must-do: A trip to the nearby Ponderosa State Park offers serene beauty and bucolic views, but you really need to get out on the water while you're here. River raft the scenic Salmon River or take a relaxing cruise around the lake. Why it's so great: America's least populous state isn't exactly known for its cities, but this chill college town in Southeast Wyoming doesn't mind being overlooked. 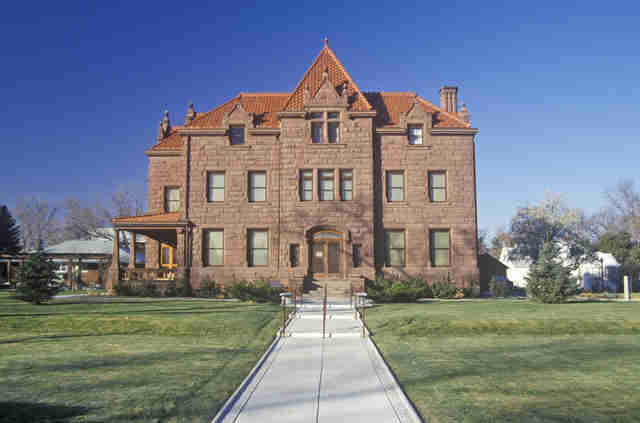 With a historic Downtown and surprisingly happening bar scene around the University of Wyoming, Laramie is rounded out with an array of outdoor delights that will have you trout fishing the Laramie River, sneaking out to the delightfully weird mountain outpost Centennial for skiing or hiking, or taking part in its annual Tour de Laramie bike ride, which stops at as many of Laramie's plentiful bars as you can manage on two wheels. Must-do: The Snowy Range Scenic Byway is a great way to get out and see the sights, while climbing the 1.4 billion-year-old rocks at nearby Vedauwoo will really have you feeling like a local. A prehistoric one. 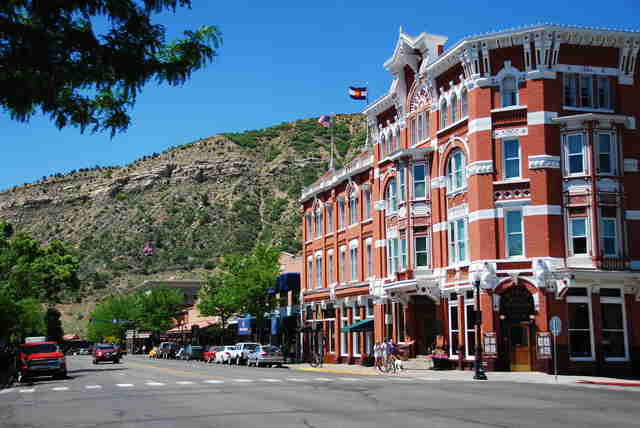 Why it's so great: Manitou Springs is weird, and proud of it. This alternative oasis six miles west of ultra-conservative Colorado Springs is a feast for the senses. You'll see barefoot hippies playing guitar in one of the country's largest national historic districts as tourists ride North America's highest railway to the top of Pikes Peak and impossibly fit locals take on the steep hikes of the infamous Manitou Incline. 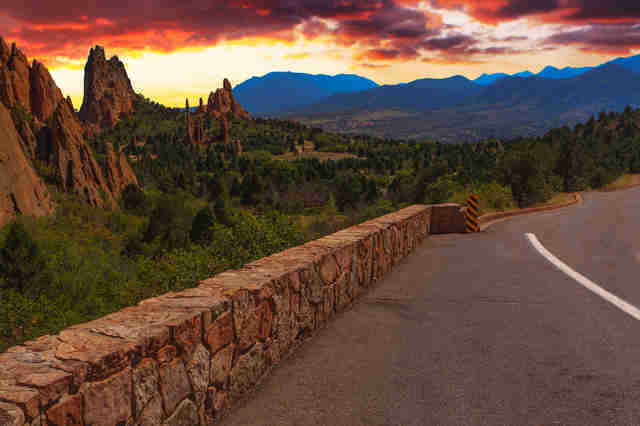 With the eerie Cave of the Winds and the eye-popping Garden of the Gods also within spitting distance, there's more than enough here to keep you entertained well past your scheduled departure date. Must-do: If you can't be in New Orleans for Mardi Gras, Manitou Springs' Carnivale is the next best thing. Trust. Jay Gentile is a Thrillist contributor and former Colorado resident who never passes up an opportunity to get weird in Manitou. Follow him @innerviewmag.